A watershed is a land area that channels rainfall and snowmelt to creeks, streams, rivers, and eventually to outflow points such as reservoirs, bays, and the ocean. As the largest estuary in North America and the third largest in the world, the Chesapeake Bay is about 200 miles long, running from Havre de Grace, Maryland to Norfolk, Virginia. Over 500 million pounds of seafood are harvested from the Bay every year for local businesses and national food distributors. You can take action today to help protect the Chesapeake Bay watershed. 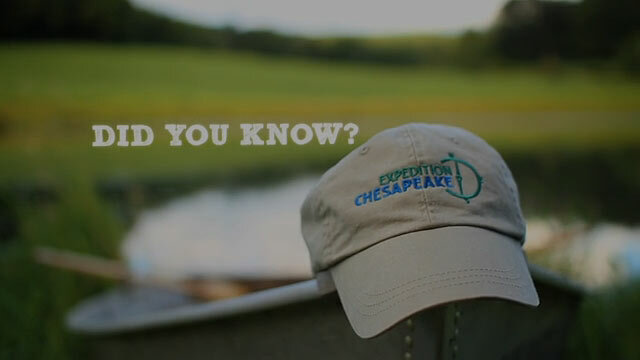 Did you know that over 17 million people call the Chesapeake Bay watershed their home? Also, more than 100,000 streams, creeks and rivers run throughout the Bay watershed. The Chesapeake Bay watershed drains into five major rivers, including the Susquehanna, Potomac, Rappahannock, York and James, which provide more than 90 percent of the Bay’s fresh water. The watershed is larger than most U.S. states, totaling 64,000 square miles, or 96 percent of the size of New England. The Bay watershed stretches across six states, starting from the Susquehanna River’s headwaters in Cooperstown, N.Y., encompassing parts of Delaware, Maryland, New York, Pennsylvania, Virginia and West Virginia, as well as Washington, D.C, until emptying into the Atlantic Ocean on Virginia’s Eastern shore. Despite the obvious importance of this natural resource, human activity in the watershed is damaging the Bay, with excess nitrogen and phosphorus pollution destroying habitat and killing aquatic life. Leading sources of these pollutants are agriculture, sewage treatment plants, urban and suburban runoff and air pollution from cars, factories, and power plants. Since colonial times, the Bay has lost half of its forested shorelines, over half of its wetlands, nearly 80 percent of its underwater grasses, and more than 98 percent of its oysters. During the 350 years between 1600 and 1950, approximately 1.7 million acres of the Bay watershed naturally developed, however the Bay lost all its growth in the 30 years between 1950 and 1980 when the Bay watershed lost an additional 2.7 million acres to development. The challenges facing the Chesapeake Bay are similar to those confronting estuaries around the world. As with the Chesapeake, these estuaries are impacted by growing human population, pollution and land development. Findings from years of research on the Chesapeake Bay are being employed to create remediation programs to restore the health of major estuaries in distant locations. The Chesapeake Bay is home to a great variety of animal and plant life that depend on it for food, water, cover and nesting or nursery areas. More than 3,000 migratory and resident wildlife species make their homes in and around the Bay. Other wildlife on the Bay include waterfowl and birds migrating along the Atlantic Flyway, such as tundra swans, Canada geese and ducks, bald eagles and the world’s largest population of osprey at over 2,000 nesting pairs. 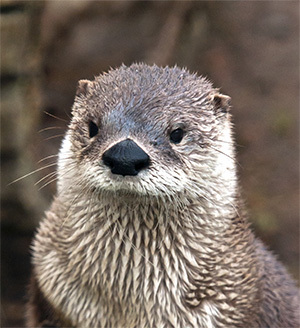 Some of your favorite animals also live in the Chesapeake Bay and its watershed. 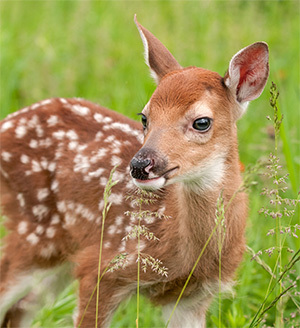 Bottlenose dolphins, turtles — including diamondback Terrapins from which the University of Maryland sports team gets its nickname— white-tailed and sika deer, bobcats, rabbits, muskrat, red foxes and otters have lived in the Bay watershed for thousands of years. 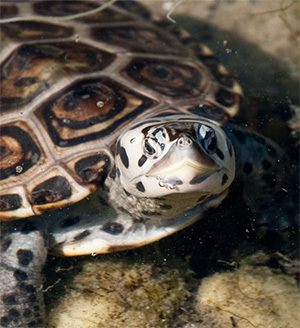 Other reptiles and amphibians living in the Bay and the watershed include more than 40 types of snakes and numerous varieties of frogs, toads, salamanders and newts. Marine species living in the Bay include bluefish, weakfish, croaker, menhaden, flounder and spot. The Bay is also home to 14 species of underwater grasses, vital as habitat for aquatic animals, food, and producers of oxygen. Plants in the Bay’s tidal wetlands include smooth cordgrass, saltmeadow cordgrass, black needlerush and saltgrass (or marsh elder), and plants along the water’s edge include wild rice, arrow arum, pickerel weed, pond lily, cattail and big cordgrass. Nontidal wetlands contain bulrush, broad-leaved cattail, jewelweed, spike rushes and sedges. Forested wetlands are commonly home to trees such as red maple, black gum, river birch, black willow, Atlantic white cedar, and bald cypress. Willows, alders, and button bushes are types of shrubs present in forested wetlands. From the early Native American tribes to the first European settlers, the Chesapeake Bay has been a steadfast source of life to the people who live on its shores. Today, more than 17 million people live on the Bay and in its watersheds, drawing clean water, food, commercial opportunities and recreation from its waters. While modern urban development and industrialization have altered the shape of its rivers, what hasn’t changed is the complex interdependence between humans and nature. The Bay and its watershed form a unique and special ecosystem that supports humans, plants and animals. 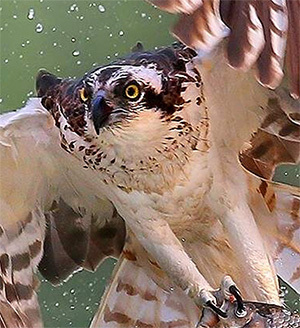 Each species plays a role in the ecosystems survival. Oysters purify algae from the Bay’s waters, and blue crab are the foundation of a multi-billion-dollar fishing industry. That’s why so many people are joining together to ensure that the Chesapeake and its gifts are around for everyone to enjoy. For more information on these bullet points and more information on the Chesapeake Bay watershed, please visit the Chesapeake Bay Foundation website at www.cbf.org, the Chesapeake Bay Program website at www.chesapeakebay.net and Maryland's restoration tracking website at www.baystat.maryland.gov.